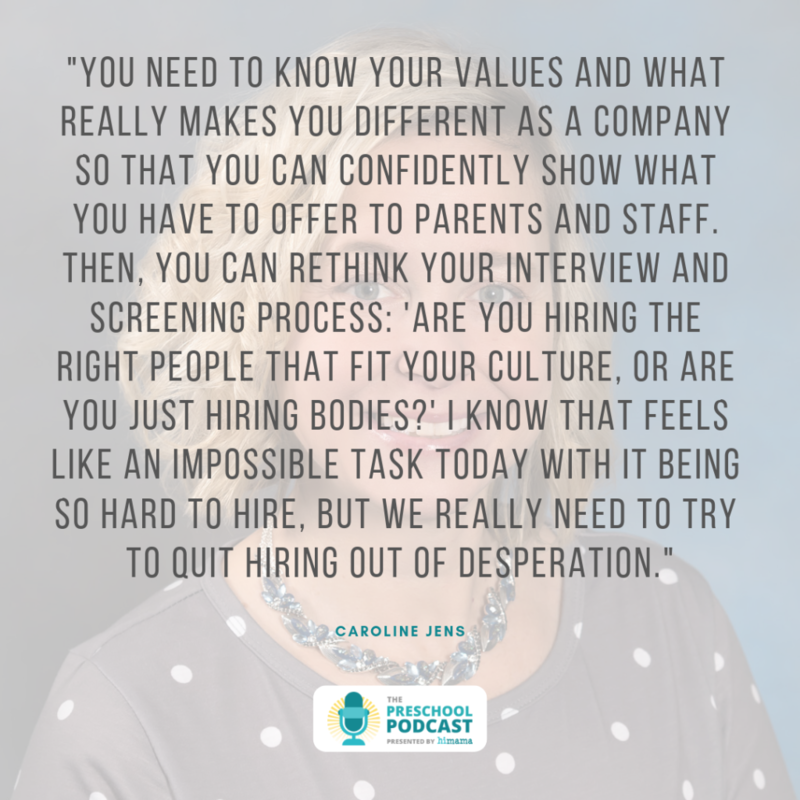 Episode #141 – Finding, hiring and retaining talent is something that is a top priority for any child care director or owner that cares about their team. 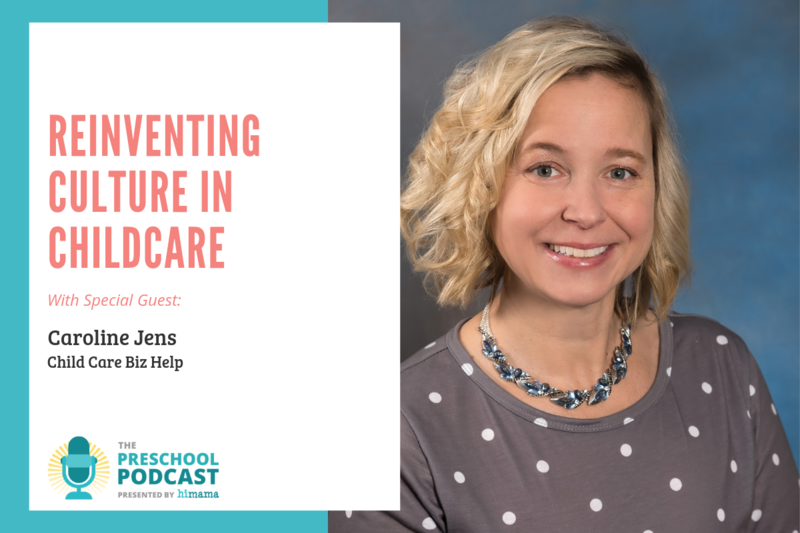 In this episode, we chat with Caroline Jens from Childcare Biz Help about how a good team is built on the foundation of strong culture at the center. 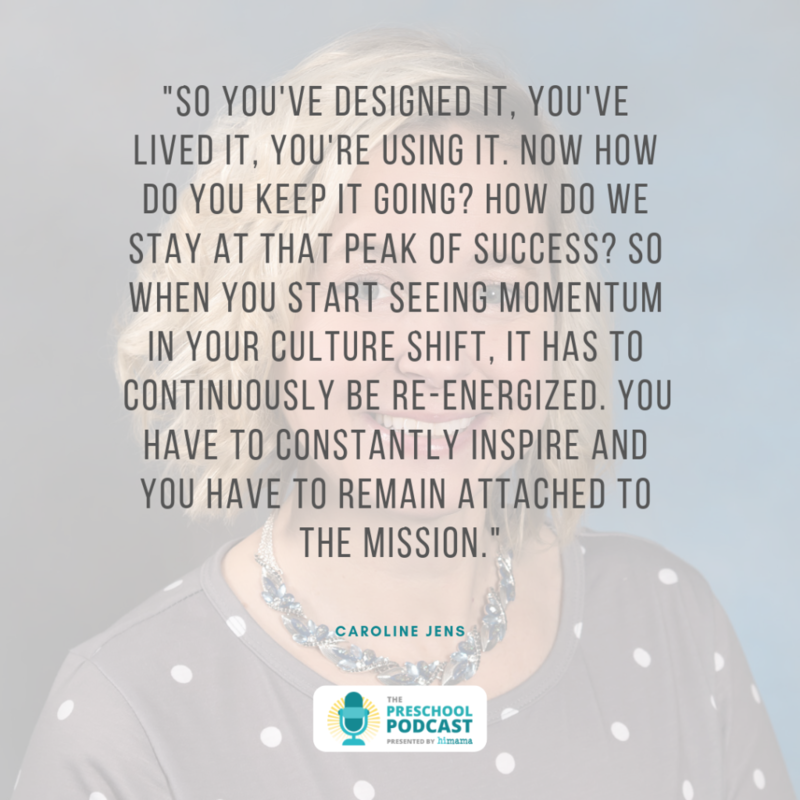 She gives us pointers on the different things to pay attention to when building your team culture, from onboarding new team members to keeping existing teachers engaged. We also talk about how upholding that culture as things change and grow over time. 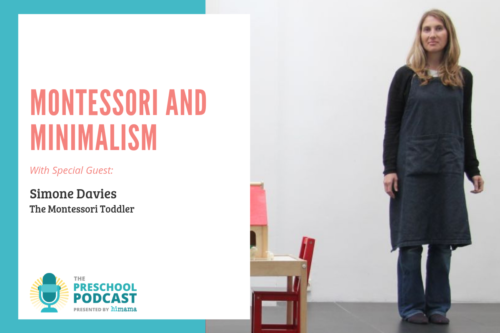 Caroline, welcome to the Preschool Podcast! Hi, Ron! Thank you so much for having me today. The centers and my team that I work with, we all love working with HiMama. And I’m very honored to be talking with you today. Oh, thank you so much! We’re delighted to have you on the show, Caroline. And we’re here to talk to you today about culture in childcare. Caroline has a lot of experience in early-childhood education – she’s the founder and owner of Child Care Biz Help. Awesome to have you on the show. 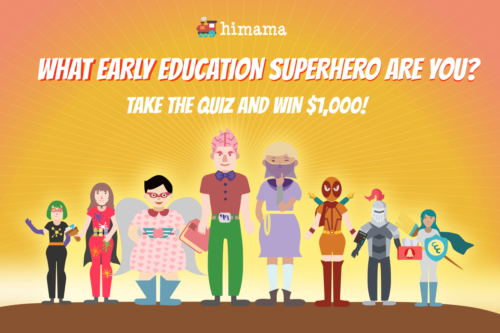 Caroline, let’s start off learning a little bit about who you are and what got you into the field of early-childhood education and through this journey as the founder of Child Care Biz Help. Wonderful, I would love to. 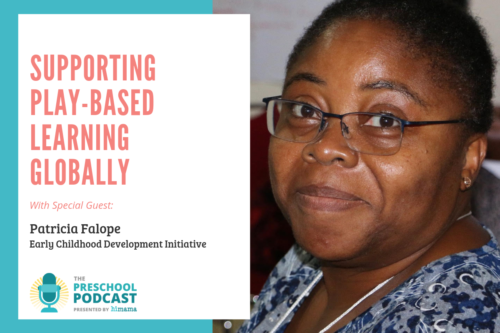 It’s actually a really interesting story because I actually did not start my career off in early-childhood education, and I found that to be pretty popular with your past speakers, too. I entered the field kind of by chance. The industry I actually started in was the financial institution industry and banking. And it was when my husband served in the Army for four years, we had a rule. And that’s kind of how I got out of the banking industry. When we moved back into Wisconsin I wasn’t quite sure what I wanted to do. And I ended up working for a gentleman that owned a lot of different businesses, and one of them was a childcare center. And so I initially just started off with his company managing the financials. And I found that I immediately fell in love with the childcare business, like every part of it. And because of this newfound passion he actually let me run his center as Executive Director for nearly seven years. 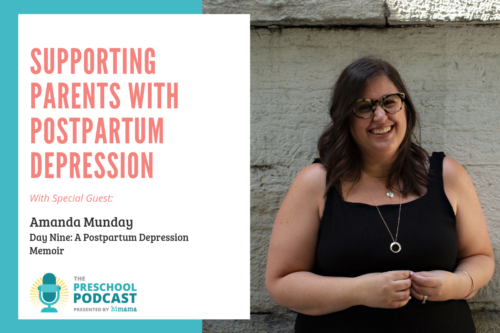 And during those years at the center I was able to work with a really amazing team of childcare leaders and really get to know the early education field and what it takes to run an exceptional childcare center. And so some of our really great accomplishments during that time is we were able to open up a second location together. We were able to reduce turnover drastically and triple revenue, and that’s where that passion came from in regards to culture and why I’m excited to be here today. Very cool. And in terms of culture, one of the big topics of conversation that I’ve had with a lot of leaders in early-childhood education is the aspect of engaging and retaining staff and how that relates to culture. Can you touch on that point? And what’s the relationship between the two? Obviously there’s some relation but maybe you can provide some more color to that. Sure, no problem. Like I mentioned, I’m very passionate about culture. As a matter of fact part of what Child Care Biz does – the company that I own – is we work with childcare centers all over the US, just in that nature of being another you and changing their culture and anything that’s on their plate to make their team function better and to get their team more engaged. So this is again a topic that I’m really, really excited about, and it’s learning how to have intentional leadership that can really ignite fire behind a team and get them to engage. And it’s really that engagement that affects culture. And so, like I mentioned earlier, I did it at my own center. And one of the recent blogs that I wrote on in regards to culture really talks about how to map out this four-step journey. So just taking it into different, smaller steps makes it a little more manageable. 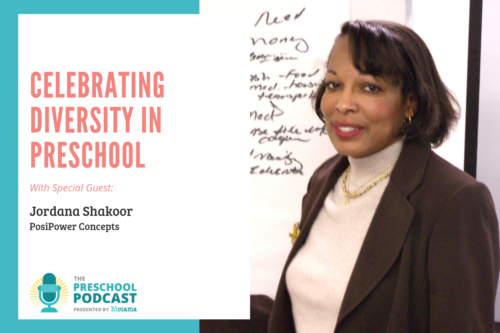 And so looking at this four-step journey to achieve greater wins and to re-energize your team and most importantly create a culture shift that’s positively affecting everything in your childcare center. So it’s affecting your engagement levels, your parent satisfaction. It’s affecting your profits, your retention rates and more. So the steps that I talk about are establishing a strong foundation, living that foundation that you built, empowering to drive success, and then finally continuous collaboration and change. And I’ll just touch on those really simply because I know we don’t have a lot of time. But the first step for establishing a foundation that really concentrates on making sure that you’re building and establishing a strong foundation that will allow you to attract that top talent, because as we know the talent within your organization is really going to be that driver of your success. So in order to do that your leadership has to believe that culture can change an organization and they have to be willing to put in the work to orchestrate that. And secondly you need to know your values and what really makes you different as a company so that you can confidently and as a unified team do what you have to offer not only the parents that are coming to your center but also the employees. And then really rethinking your interview and applicant screening process. So asking yourself, “Are you hiring the right people that fit your culture, or are you just hiring bodies?” And I know that feels like an impossible task today with it being so hard to hire, but we really need to try to quit hiring out of desperation. And so the second step to changing culture is really being able to live that foundation. So now you built it. You’ve stepped up, you’ve paved the way to attract that top talent. Now how do you live it? So as a leader you have to constantly ring that bell for your company. 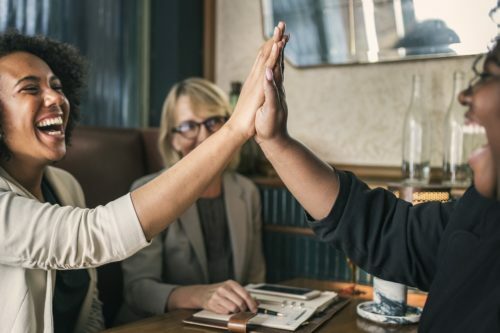 And this is one thing I help my clients do: Always encourage them to give monthly state-of-the-company reports that include praising employees when you’re witnessing them actually living out your company values. So this is going to help other employees grasp what kind of culture you’re looking to establish and it’s going to keep them enthusiastic and engaged. And then you also need to make sure that you’re onboarding process is solid. It’s one thing to be able to attract talent but if you can’t move them through your organization with intent, with clear expectations, feedback and that whole culture piece they’re not going to stay with you. And finally to give that foundation you built you have to take a hard look at how you coach. Often we coach on processes and procedures, and in childcare we have to do that – there’s licensing and rules that we have to follow. But we also need a coach on culture. So we look at ways in how your leadership team can creatively coach on how you live and breathe your company culture. The third step is how to empower your team to drive that success you’re experiencing. So you’ve built that foundation; you’re living it. Now how can we learn to use it? This is step all about engagement. Once employees, once you see them buying into your culture, you need to engage them in it to keep them enthusiastic. So think about how you’re going to do that. And think about whether they’re new, or they’ve been there forever, or even if they’re leaving, there’s different ways that you can get them involved and use their talents and their ideas. And one of the most important parts of this is celebrating wins. There’s something – I’m actually going to be doing a webinar next week Friday on this very topic, and it’s really a great way to keep engagement levels high, and just celebrating those small wins. You don’t have to celebrate big wins all the time. Let’s concentrate on those small wins to keep your team energized. It could just be something like, no one called in for the month, or no child was brought to the office this week, or maybe received a testimonial from a family. Celebrate that; keep your team organized. That’s a really great way to empower your team to drive success. And then the final step that I talk on the four-step journey is just ensuring continuous collaboration and change. So you’ve designed it; you’ve lived it; you’re using it. Now let’s keep it going? How do we stay at that peak of success? So when you start seeing momentum in your culture shift, it has to continuously be re-energized. You have to constantly inspire and you have to remain attached to the mission. And honestly, this is where most companies fail because it does take so much out of you. You have to constantly be that cheerleader. And it’s hard when you’re a leader to always be cheering people on because some days you just want someone to cheer on, right? So this stuff is really the hardest part. But you need to empower your employees, give them a safe place to make decisions and build the foundation of what you started. And [building] collaboration in your team will help limit the chance of burnout. Get your team to be able to work together so they can lean on each other when they’re burnt out. And then finally, always carry your team, because, again, the needs of your team is going to change from month to month, year to year. So we need to make sure that we’re serving our employees and keeping our pulse on what they’re looking for in culture. So I hope this these explains four steps on how to design it, work it, tap into your employees, creating a safe environment that empowers creativity and continuous improvement. And that is how your childcare center is going to achieve a culture that keeps you at the peak of success. I know for a fact it does work – it helped my team. We had a horrible turnover rate of 45% when I first started, and when I left we had a turnover rate of less than 15 [%]. And it’s all about your culture. So goal-lead your team on journey which will achieve success strong enough to impact your employees your families, your friends and your community because our purpose is much bigger than ourselves. Everything that we do is affecting not only the lives of our employees, but the lives of the people that they touch. So let your culture catapult your childcare center on a peak so high that the competition is not going to be able to compete, and families are not going to have an option but to see you as the top choice. And one of the words that we’ve used a lot in this conversation – as well as externally whenever we talk about culture – is staff engagement and staff being engaged. Can you describe a little bit more in your words, just what does that mean for staff to be engaged? So how I look at engagement is, I am interacting with my staff to find out who they are, to find out what they’re passionate about, find out what their talents are, and figuring out ways to – based on what they’re passionate about – how to use those passions and talents back in the center. And so you’re basically taking what they love to do and trying to encourage them to use it somehow, use it to – whether it’s to put on an art show because they’re very passionate about art, let them create the art show for your center to help bring families in and to have a really fun night with your children. Look at different ways, it could be… there’s so many things. Have Culture Captains: So if someone is really passionate about… or a Social Captain, someone who’s really passionate about setting up events and having fun, engage your employees by having them help you set those types of things up. It doesn’t always have to be on our shoulders. Tap into the resources of your employees. Get them to buy into the direction that you’re heading with your center. And that’s really where engagement starts. Cool. And one of the things I wanted to touch on as well, that you mentioned, was – and this was on the second step around living the foundation you build – you talked a bit about the onboarding process, which I think is an interesting one to bring up because it because we talk a lot about finding the right staff and making sure they’re motivated and engaged. But how do we start them off on the right foot? Any tips in terms of the first 90 days when you’ve brought on a new staff member? Sure. And it actually starts before that 90 days; it starts before Day One. And it starts from the ad that you place, honestly, and the interview process, and how you make them feel welcome before they even walk in the door on Day One. And that’s a step that a lot of people miss during onboarding is setting them up for success before they even walk through your door and letting them know without having to say, “This is our culture,” but letting them know through your actions that you’re a warm childcare center, that you like to have fun, that you have a team environment, and doing that all before, again, Day One. So in the boarding process we have to make sure that we set intentional moments aside on a week-to-week basis and then on a monthly or quarterly basis so that we’re doing some performance coaching. And that performance coaching is really what onboarding is about. It’s making sure you’re doing those intentional check-ins with that new hire. Yeah I think a key part of it is really just ensuring those regular touch points that are having meaningful conversations in those, and that alone will make a huge difference. Sometimes we forget to touch base regularly with our team. And that certainly contributes to culture and engagement. Now if I’m listening to the Podcast as maybe an administrator or director, or maybe I’m also a teacher and I’m very passionate about culture in my center, what are some of the things that I can do to get started with making some of these changes? Because I don’t think anyone would really disagree that these all make sense or [are] completely rational. But it’s kind of hard to know where to start. What do we do to really implement these things that are all very sensible but it’s a lot to take in and it’s something that’s not going to happen overnight? Where do I start? That’s a really great question, and I would say baby steps. And I’m a firm believer… and if you look at the whole four-part process that I was talking about, that can be overwhelming because you’re looking at… it took a year and a half before I really saw a change in my turnover. So culture doesn’t happen overnight. It can get very discouraging when it feels like you’re the lone person out there trying to make that change. So my first suggestion is really just take baby steps and start with Step One. And honestly Step One has to start with just looking at yourself and are you a positive person? 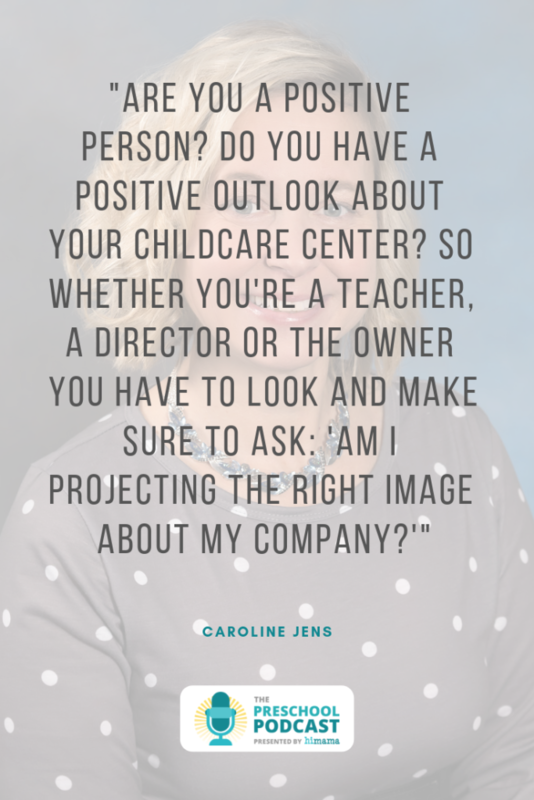 Do you have a positive outlook about your childcare center? So whether you’re a teacher, a director or the owner you have to look and make sure, “Am I burnt out? Am I projecting the right image about my company? If I’m a teacher, am I being positive to my co-workers? Am I supporting my leadership team?” And so I would really say, initially start looking at yourself first and how you can positively contribute, and then take baby steps. Cool, good advice. You’ve got to start somewhere, so start there. And if I want to get in touch with you, Caroline, because I’m really intrigued by a lot of the messages you’ve put across here today and would like to learn more – perhaps through conversation with you or about Child Care Biz Help – where can I go to get more information? Sure. So I have a website: www.ChildCareBizHelp.com, you can go there. You can also email me, and I’m pretty active on social media, too. My email is Info@ChildCareBiz.com. And I’m very open to responding back and forth and even popping on a phone call. I don’t have a problem doing that. I do also have a book I released – it’s been about a year-and-a-half now –it’s called P.R.O.F.I.T.S: Childcare Success Formula. I do have free downloadable copies of that book. So if you are interested in that you can send me an email and say, “Hey, I’m really interested in getting a copy of your book,” because with the book you get free tools that you can actually download and customize and use in your center. And everything else that I talked about today is in there. It ranges from passion, recruitment, one vision, financial innovation, training, sales and marketing, it hits all those touch points. And so I have that free, if anyone wants that. But my website is a really great resource that you can find out more information about us. And a new product that we just released – our sales and marketing automation platform – information is on our website about that also. Oh, very cool. And we love, love free resources, so encourage our audience out there to check out this free book from Caroline. I’m sure you’ll learn something. It sounds like a lot of practical information in there from somebody who’s very experienced. Caroline, thank you so much for coming on the show and sharing your advice and experience with us. I really appreciate it, Ron. I had such a great time, and I hope your listeners were able to walk away with something today. Thank you.